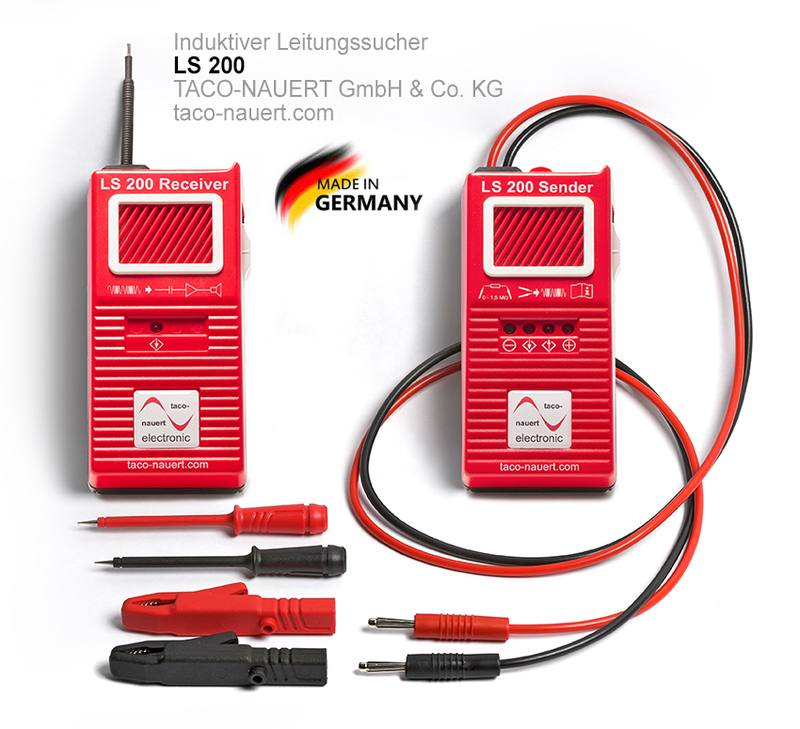 The inductive metal detector LS 200 is used to find leads in walls, ceilings, floors or cable ducts as well as to clearly identify conductor pairs. Whether or not leads can be found depends on the received signal strength. The latter, in turn, depends on the construction material between the lead and receiver and on how deep the line is layed. The length of the lead is insignificant. The leads connected to the receiver must be floating, and no resistances or other loads may be connected. The signal generator can also be used as a continuity tester and voltage tester. For instance, it is possible to check in advance the state of the lines or conductor pairs to be searched for. The connections do not have to be reversed. All test functions can be activated by simply switching over at the signal generator. High-quality accessories (two fully insulated alligator clips and an additional pair of probes), can be simply connected to the 4-mm banana plug of the transmitter test lead. 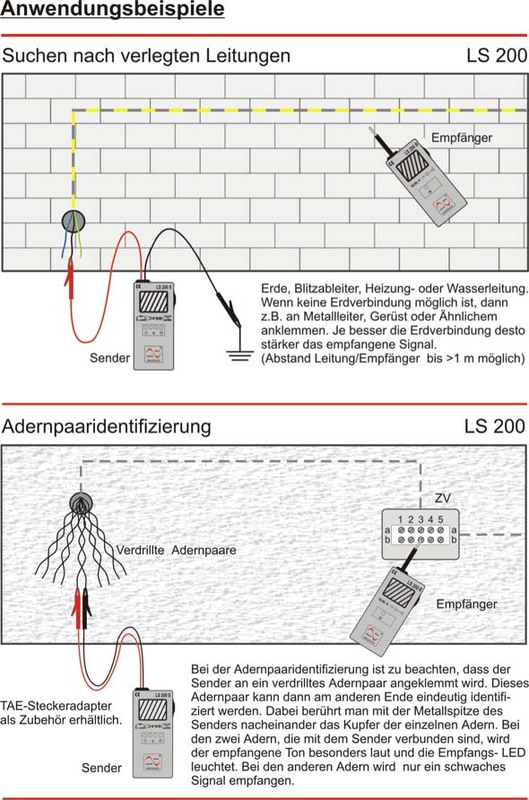 With the receiver, many other signals can be detected, such as 50-Hz hum, signals transmitted by IR remote controls, phase control of dimmers, and much more. Instruction manual and handy plastic case.